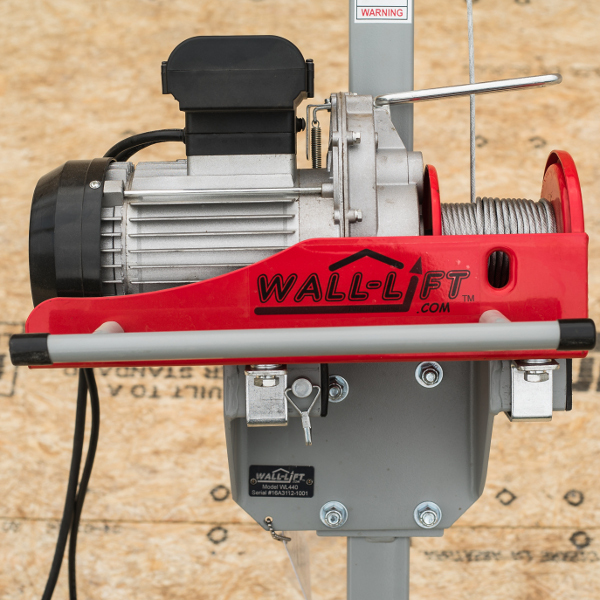 Each Wall-Lift is rated to hoist wall sections up to 25' long and up to 440 lb. The extra long 15' control cord on the winch allows a single operator to raise sections up to 50' and 880 lb if a second Wall-Lift is purchased. Wall-Lift uses high-quality components and powder-coated steel for a durable product that will last for many years of frequent use. Copyright © 2016 Wall-Lift, Inc.